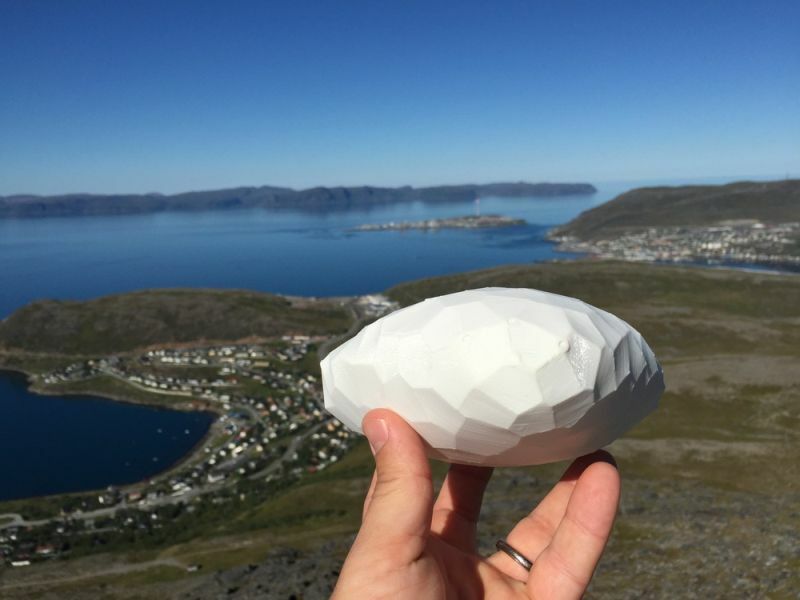 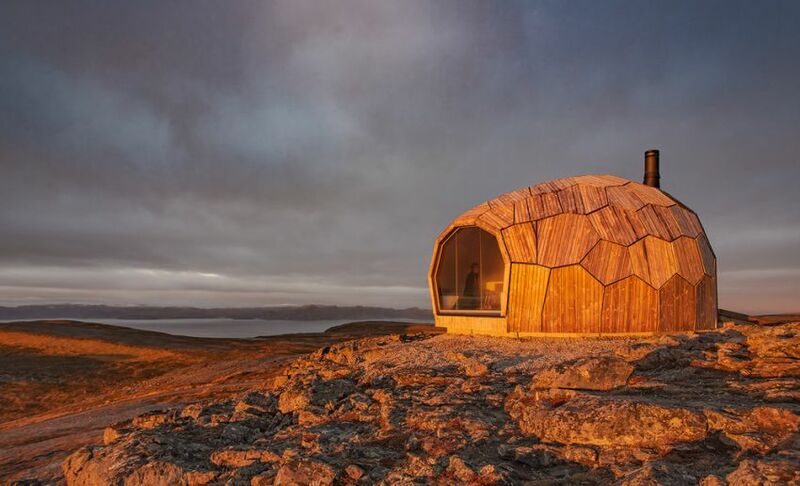 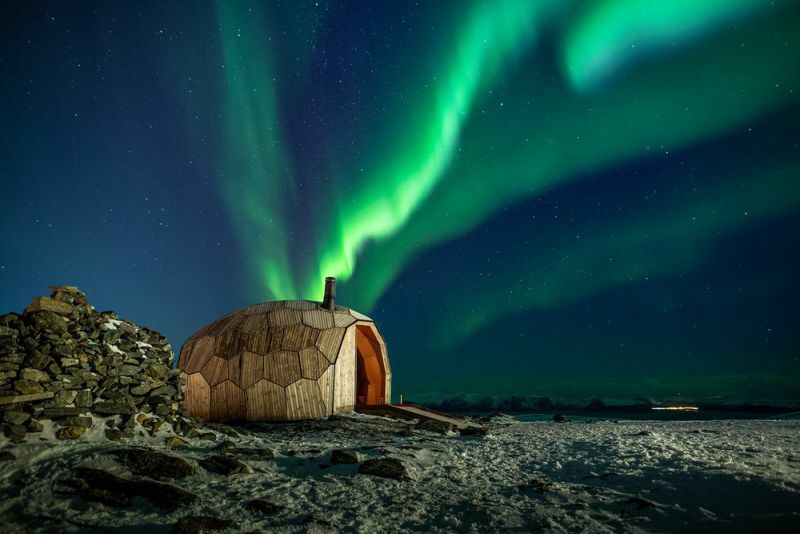 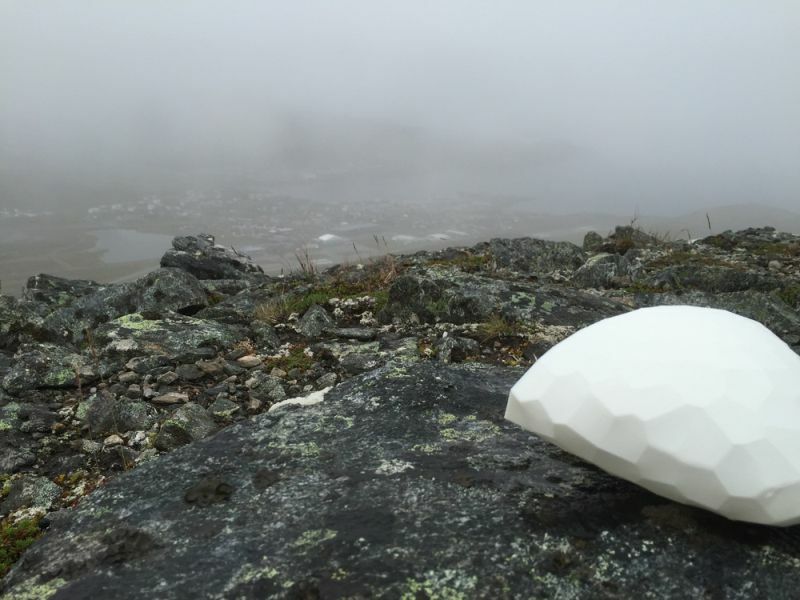 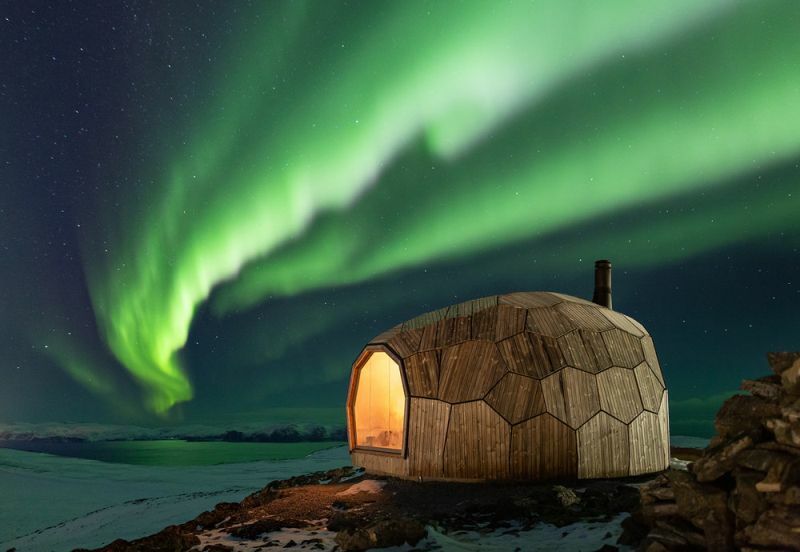 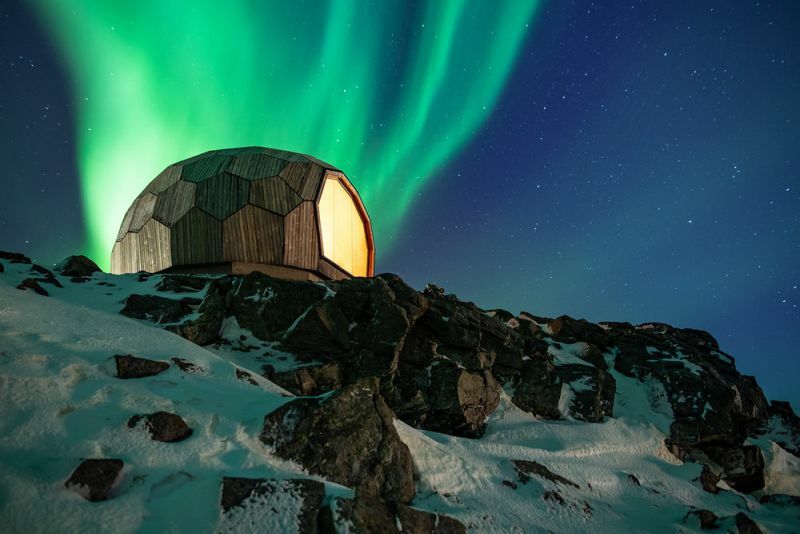 SPINN Arkitekter in collaboration with Format Engineers and the Norwegian Trekking Association is constructing two egg-shaped warming huts for day hikers in Hammerfest, Norway. 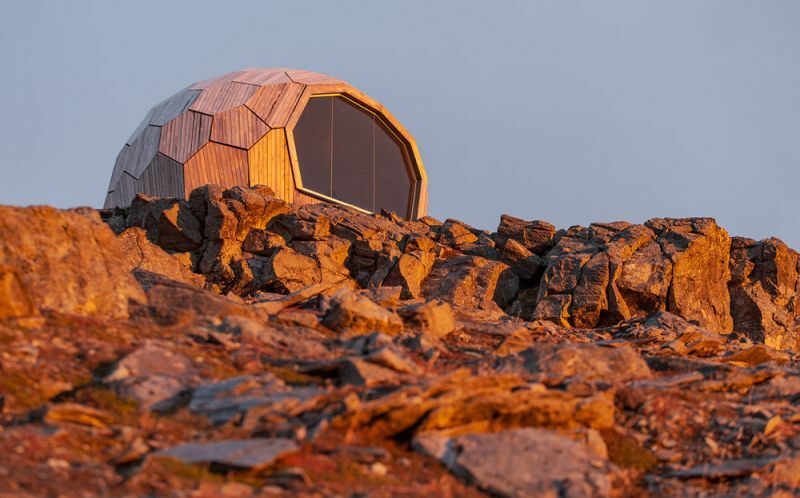 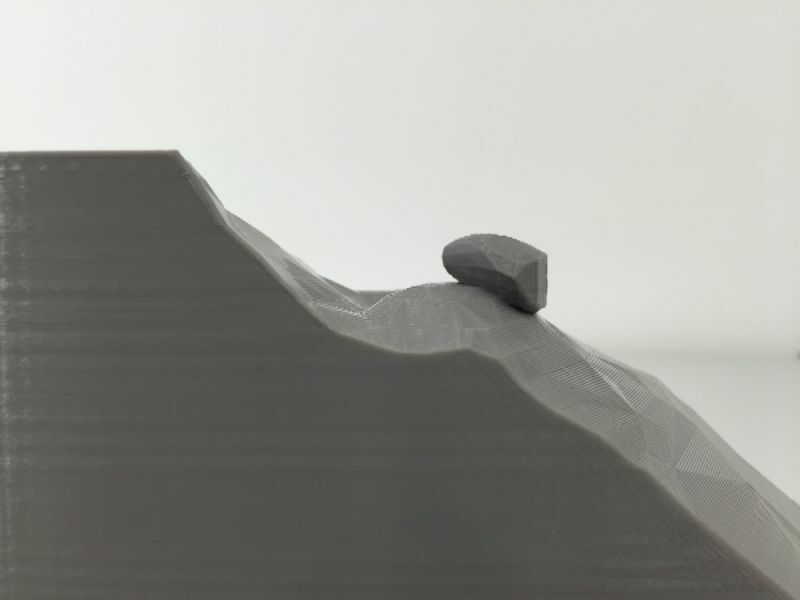 They intended to build sustainable structures on the top of a mountain that seamlessly blend with the terrain and can withstand polar winter conditions. 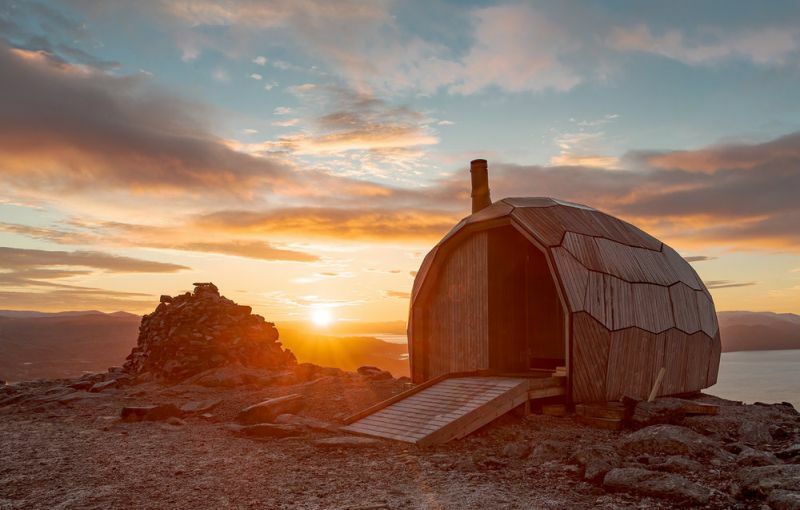 Each daytrip hiking cabin has seating with a wood-burning stove and large glass windows to enjoy views of the arctic landscape from indoors. 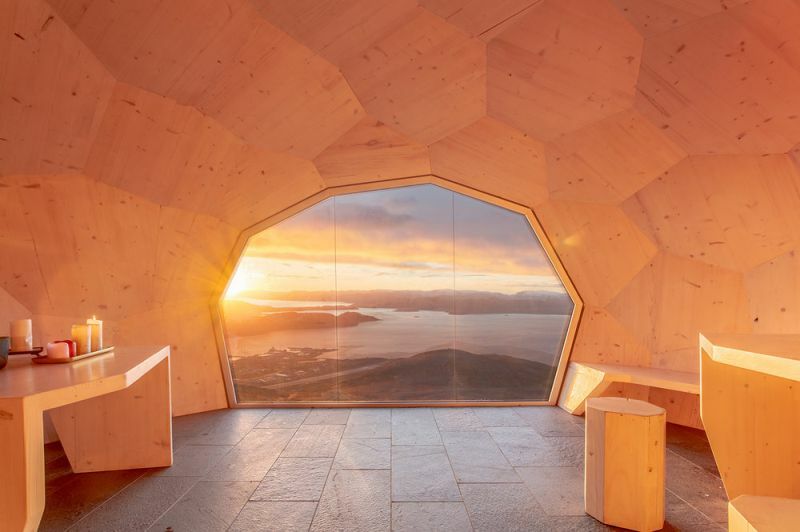 The collaborative team created a wooden cross-laminated timber shell with 77 prefabricated CLT panels that fit together like a 3D puzzle. 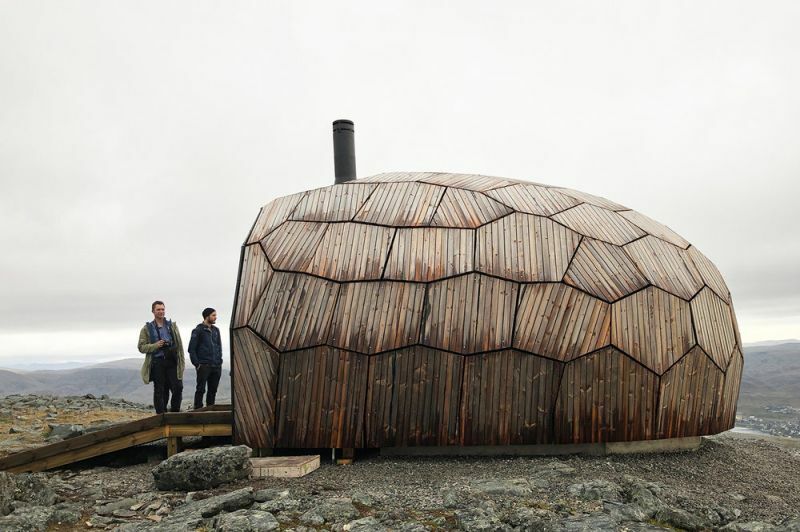 Two-layer bitumen waterproofing of the shell is done to make the interior space cozy in wintery conditions. 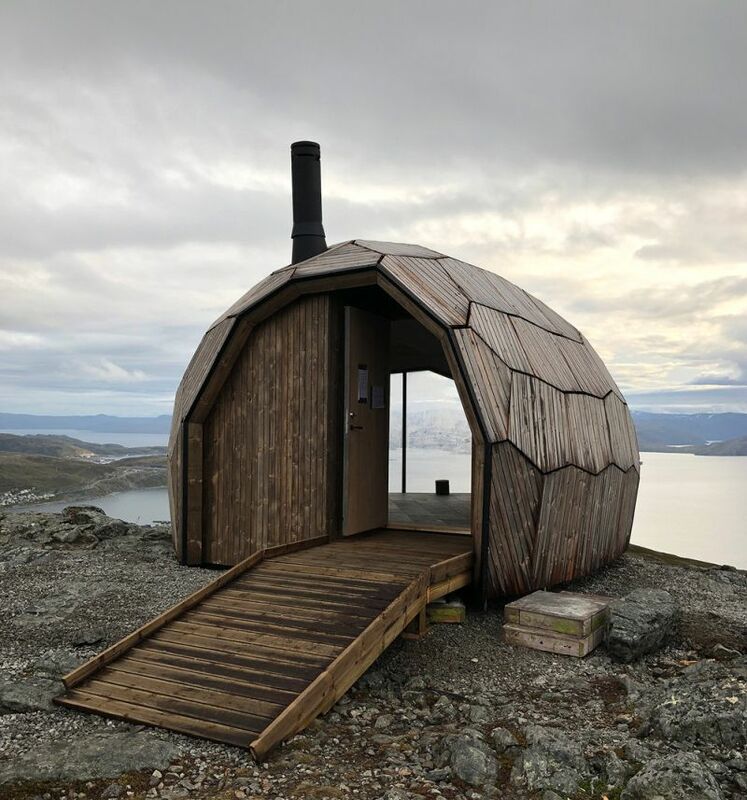 The most interesting feature is the rounded and weather-beaten shape and exteriors that make the hiking cabin appear like a large stone. 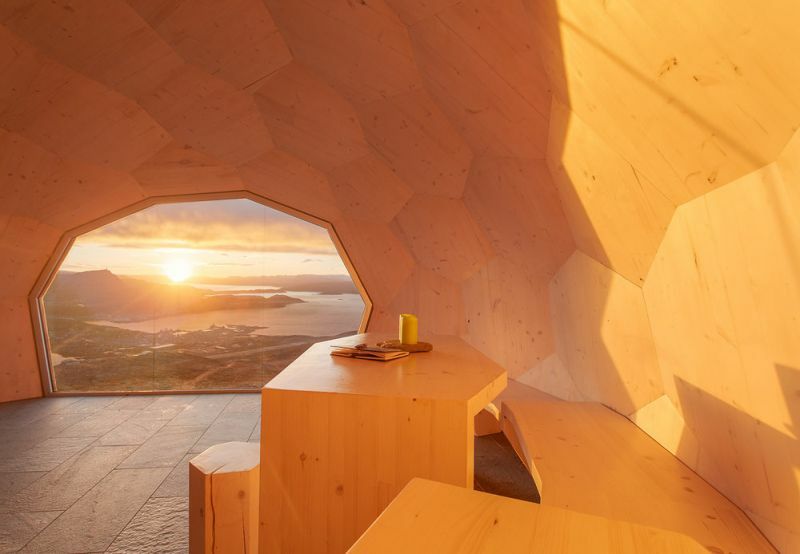 Equipped with a wood-burning stove, the interior space is warm and offers unobstructed views. 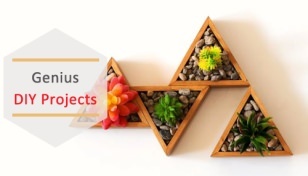 With increase in the budget, a visualization and animation were created as part of a crowd-funding effort to raise money to realize the project. 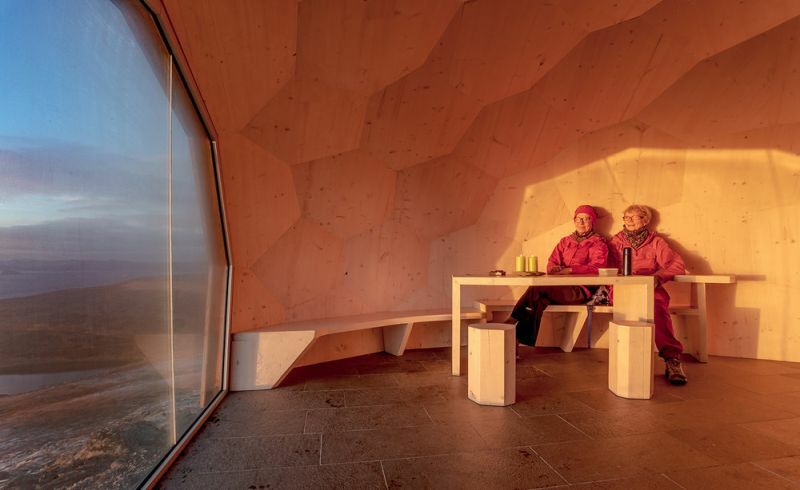 Kebony donated materials for the exterior cladding while local businesses volunteered materials and services. 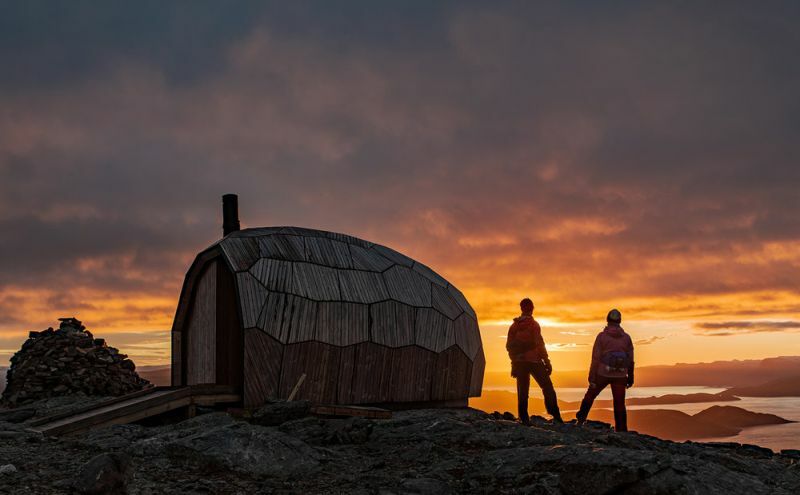 The volunteers spent over 1500 hours on the construction of the first cabin, and outer cladding for both cabins. 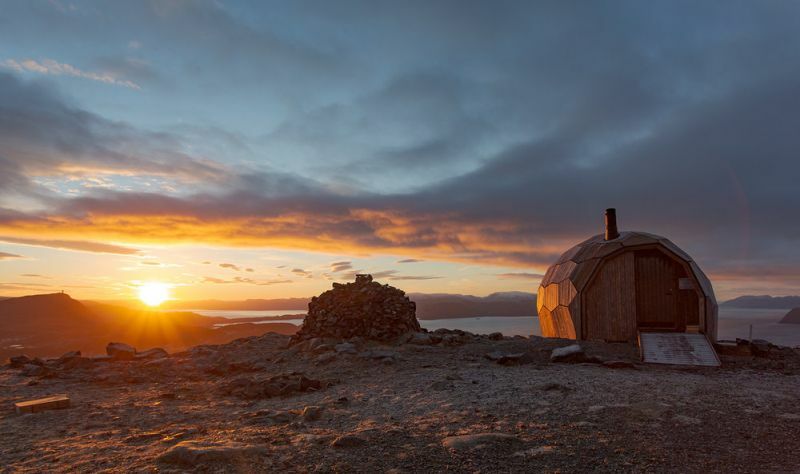 The daytrip hiking cabins are built in a controlled warehouse environment and then partially demounted for transport. 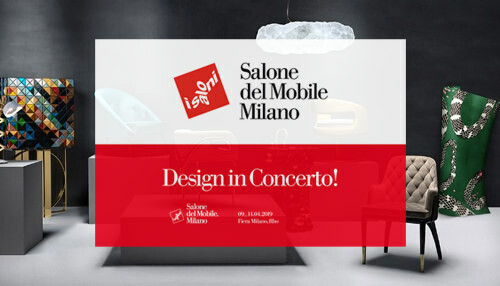 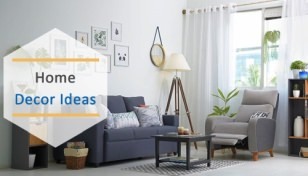 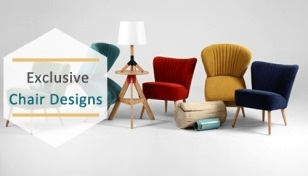 Windows, fireplace, ramp, and other interior furniture units are fitted on the site. 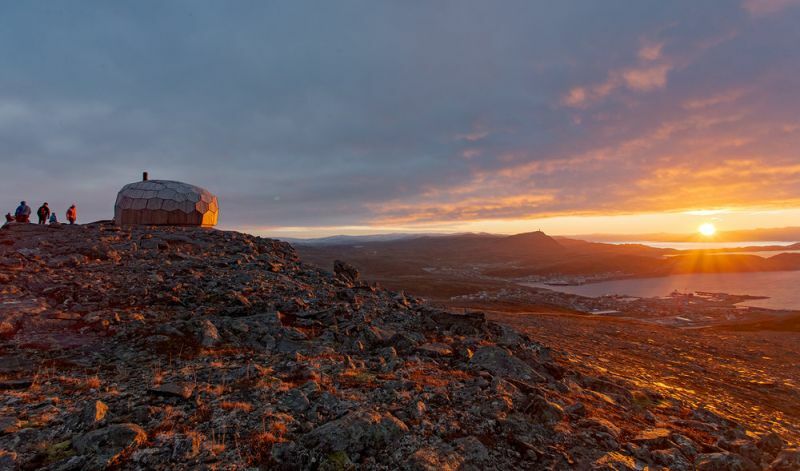 The first hiking cabin is ready and the second one will be built on Tyven, a mountain on the other side of Hammerfest, both watching over the city and beautiful arctic landscape of Hammerfest.